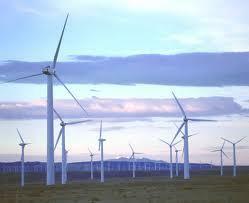 The federal government is getting ready to issue its first eagle-take permit for a wind power project in Wyoming. Normally, killing eagles is illegal. 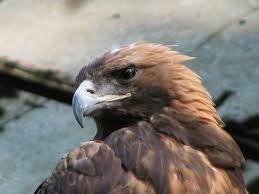 But the five-year permits allow wind companies to kill a certain number of eagles without penalty. The Power Company of Wyoming hasn’t actually applied for a permit for its Chokecherry-Sierra Madre wind project in Carbon County yet, but the U.S. Fish and Wildlife Service has started asking for public input in anticipation that it will. Migratory Bird Division Chief Casey Stemler says they’ve been working for several years on a conservation plan to minimize the potential for collisions. “Such that any remaining take that may occur would be unavoidable. And that’s the kind of discussion that we have ongoing with the company now,” Stemler says. Wyoming wind farms have killed more than 30 eagles over the last five years, and one company was recently fined a million dollars for eagle deaths at its facilities. The eagle take permit program started in 2009, but the government hasn’t issued any of them to date. Stemler says that’s because there’s a long process that has to happen before a company can even apply -- starting with at least two years of surveys, followed by consultation with the agency and mitigation plans. “By having the permit, we then have a way to work closely with the companies that come to us to try to help reduce chances of killing eagles. I mean, that’s our ultimate goal, obviously, is to work with the companies so they can move forward with what they’re trying to do, but also for us to fulfill our mission with the Fish and Wildlife Service,” Stemler says. He adds that they haven't decided how many eagle takes will be permitted at the Chokecherry-Sierra Madre project. The agency is hosting public scoping meetings in Rawlins and Saratoga December 16 and 17 to discuss the permitting process. A wind energy company that was fined a million dollars Friday for the deaths of 14 golden eagles at its Wyoming facilities says it’s making strides to mitigate future bird deaths. Duke Energy spokeswoman Tammie McGee says Duke has removed rock piles that can attract prey and employs field biologists who send out alerts if turbines need to be shut down. She says they’re also working to install a radar system. Wyoming wind farms have killed more than 30 eagles in the last five years, according to a new study by several U.S. Fish and Wildlife Service biologists. That’s more than any state except for California -- and that’s despite Wyoming having relatively few wind turbines. 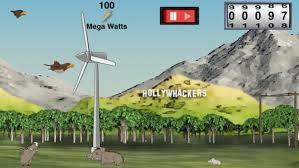 A smartphone app that’s trying to raise awareness about conflicts between wind turbines and birds saw a spike in downloads after a settlement over eagle deaths at wind farms in Wyoming was announced last week. The game is called WingWhackers, and the premise is pretty simple. You’re a protected bird of some kind -- an eagle, an owl, a hawk, and you need to make it home with dinner, through a field of spinning wind turbines.